San Miguel used to run the Bulls in the streets until the Animal Rights people and the World Heritage Site people stopped it. Chefs, sous chefs, pastry chets, commis, sauciers, executive chefs, garde mangers are rounded up in March in front of the Jardin. 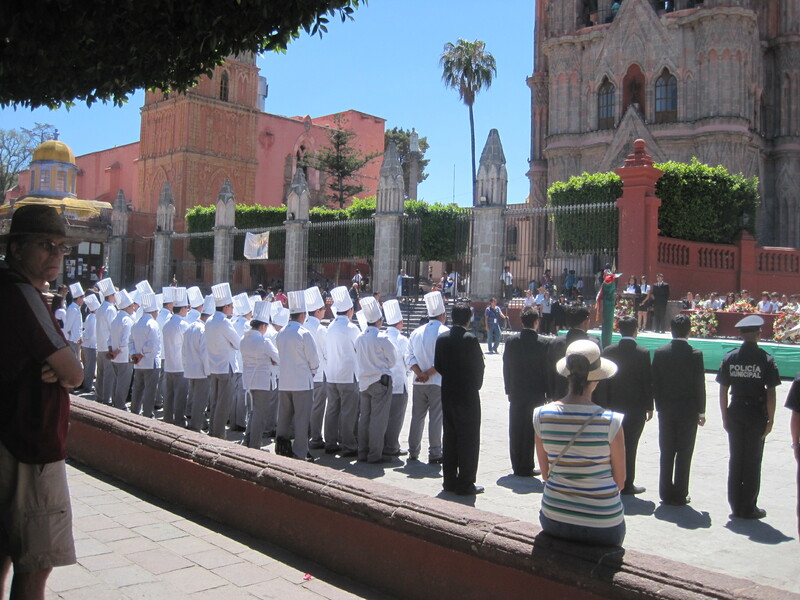 Then the Chefs are released to run the streets of San Miguel pursued by tomato wielding tourists. I chased a few line chefs down Umuran but they got away. The pastry chefs seem to be a bit larger than most of the other chefs so they are easy to catch and pummel. When the chase is over, the chefs reassemble in the Jardin and the one with the least tomato stains becomes the winner and cooks a meal for the Editor of Atencion and sit in the kitchen of one of the homes on the House and Garden Tour. Great fun and we all love the fat chefs. 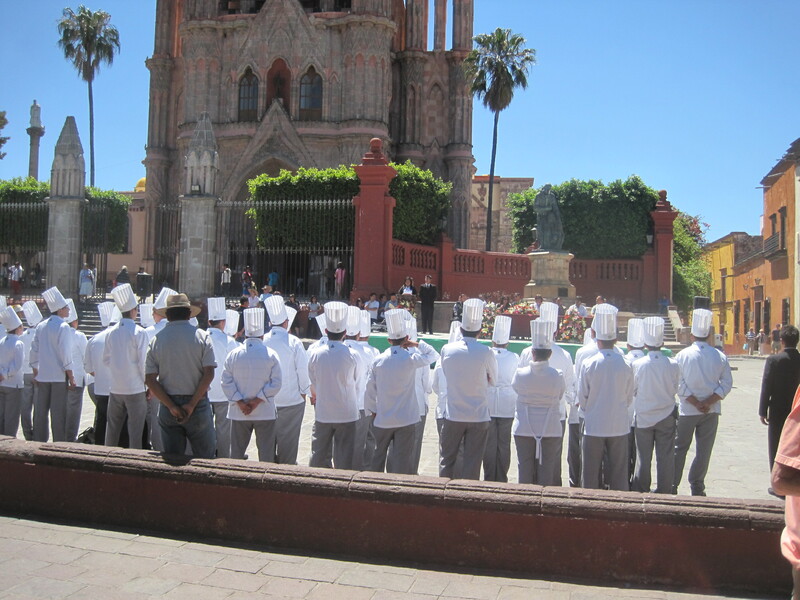 So be sure to come next March and support the cooking staff of your favorite restaurant in San Miguel. There is talk of running Hairstylists, Maids and Police if interest is there. I have decided to write a book about all the people in San Miguel. 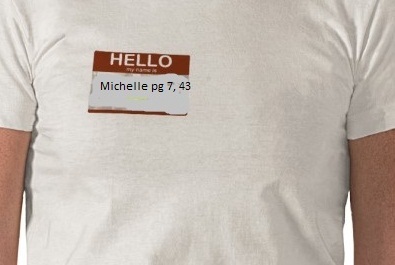 Instead of an index I am going to issue nametags with each book you buy indicating what page you are on. Yes I was a dirty girl, Frank of page 76. You certainly did well on the stock market from that inside tip. None of it has to be true but it will make residents a lot more interesting than they really are. So much better than the Doors of San Miguel. Not sure what I should call it. Some paint. Some make jewelry. Some draw. Some write. Some sing. Perhaps we all have a talent. Greta puts things in her hat that she finds. 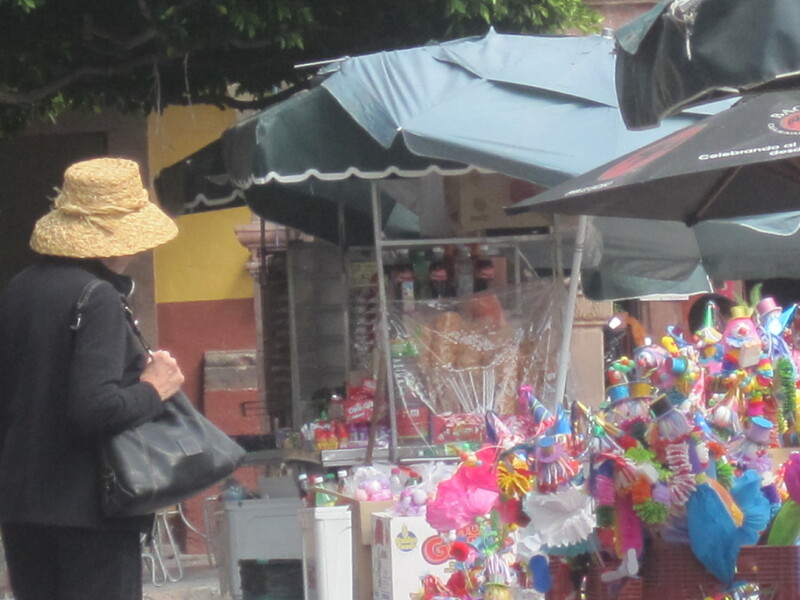 Today she spied clowns in boxes in the Jardin that would fit in her hat. No doubt she will bring either joy or snickers to those around her.